These homemade fruit snacks are a great healthy alternative to normal store-bought fruit snacks. While this post is sponsored by Dole, all opinions and ideas are 100% honest and my own. My son has this thing against fruit. He just won’t eat it. In fact, he screams when we even put anything on his plate. We keep trying but so far nothing has really worked. Until this week. My toddler loves fruit snacks (what toddler doesn’t) so my husband recommended making our own homemade fruit snacks to see if he would eat those. Homemade fruit snacks are surprisingly easy to make and way better for you than their store-bought counterparts. 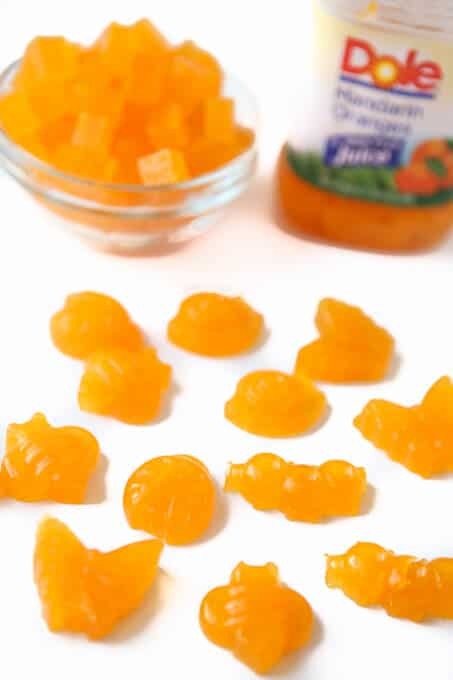 These mandarin orange fruit snacks only use three ingredients and can be put together in just a few minutes. Make an entire batch to chill all at once and you’ve got yourself fruit snacks for days. 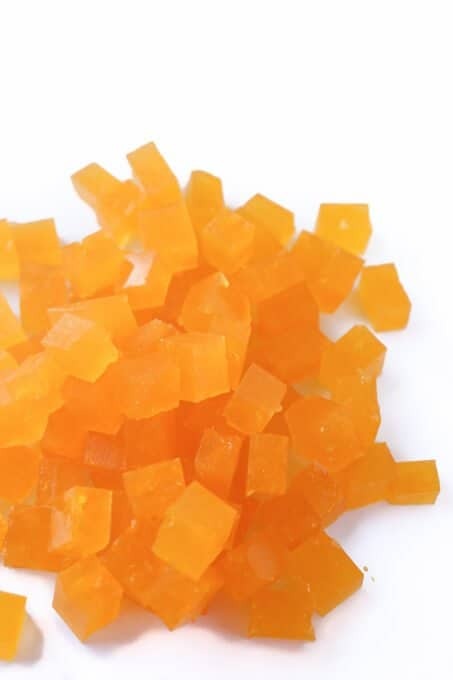 For these fruit snacks, I used DOLE Jarred Mandarin Oranges. I knew I wanted to use a combination of fruit and juice for the snacks and the Dole Mandarin Oranges are perfect because not only does each jar have five servings of fruit, the fruit is stored in 100% natural fruit juices and naturally fat-free and cholesterol free (another reason to feel good about feeding them to your kids). And with the resealable lids, you can just use a portion of the jar and put the rest in the fridge for a yummy snack later. While you could technically use another type of fresh fruit in this recipe, the DOLE jarred fruits make it so simple because there’s no need for washing, peeling, or cutting. Just open the jar and cook away. 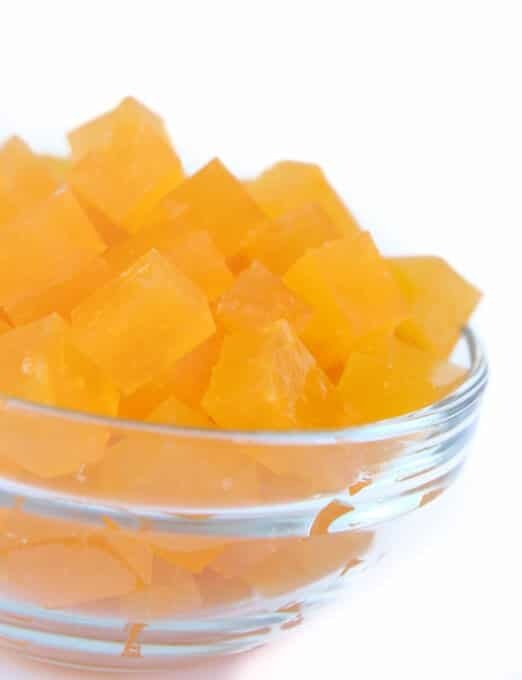 And if mandarin orange isn’t your favorite, try out this recipe with one of the other four great DOLE jarred fruit varieties – pineapple chunks, sliced peaches, mixed fruit, and tropical fruit – or try them all. Find them at your local grocery store in the canned fruit aisle for $2.99 or less. 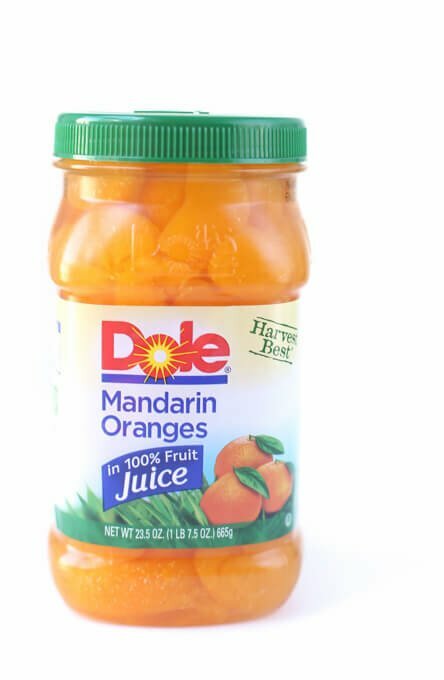 In addition the DOLE Jarred Mandarin Oranges, you’ll also need some gelatin and honey, preferably raw all-natural honey. That’s it! Making these fruit snacks seriously couldn’t be easier. 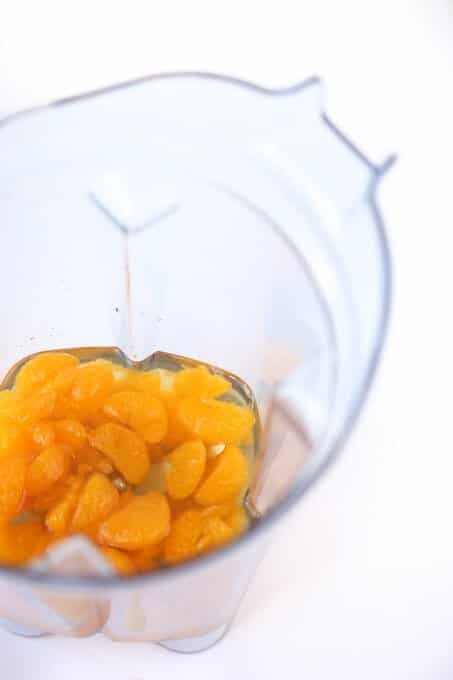 Before you get started, I recommend quickly blending your mandarin oranges together with the liquid just to make the fruit snacks a little smoother. If you don’t, they’ll still work; you’ll just end up with some larger chunks. 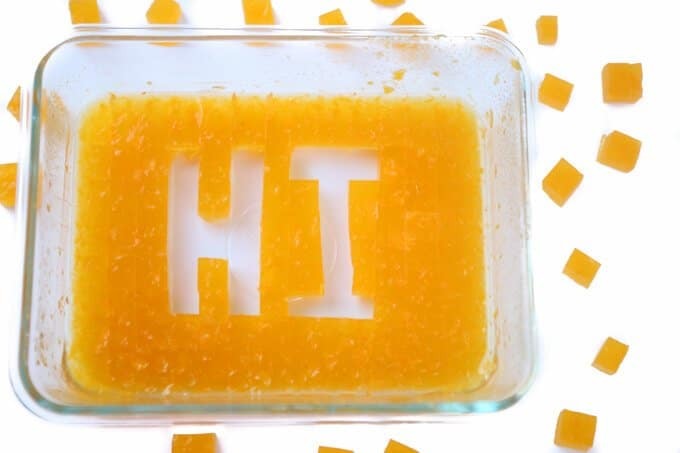 Mix your mandarin oranges and gelatin and heat on the stove, add the honey, and pour into a pan or molds to chill. I used both to see if feeding my son bug fruit snacks would be more successful than the squares. He ate both but the bugs were way cuter. You can find more great recipes and ways DOLE Jarred Fruit can make snacking as easy as 1-2-3 on the Dole website and this 3-step snack Pinterest board! Tons of great recipes and ways to incorporate more DOLE Jarred Fruit in your life. Keep a jar or five on hand at all times as a healthy snack for you and your family. I know we do! 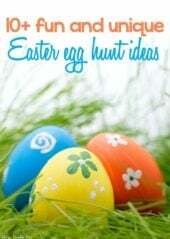 Follow Dole Packaged Foods’s board Easy as 1-2-3 recipes on Pinterest. 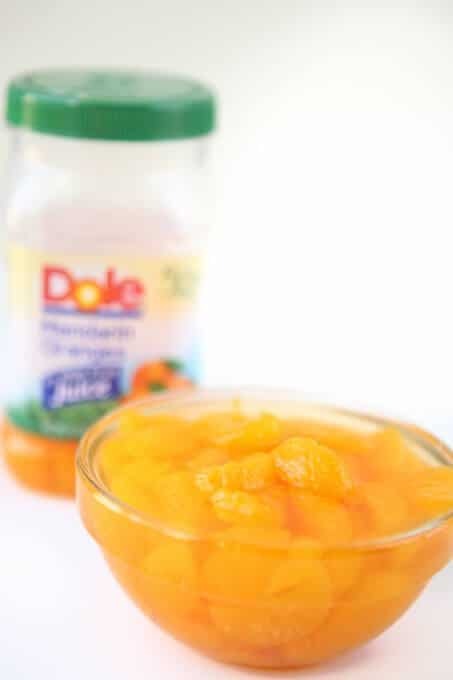 Pour 3 cups of DOLE jarred mandarin oranges (including the juice) into a blender and puree until fairly smooth. 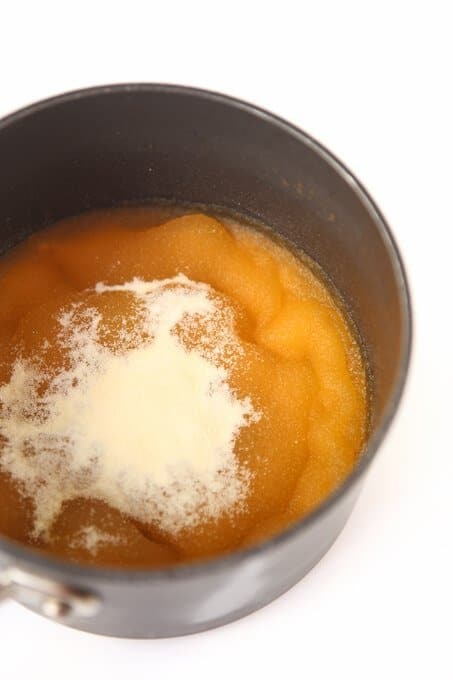 Pour mandarin orange mixture into a large pot and top with gelatin. Allow gelatin to sit on gelatin for a few minutes. 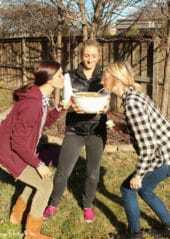 Once the gelatin mixture begins to getting bump, stir together then heat on stove until gelatin is completely dissolved. 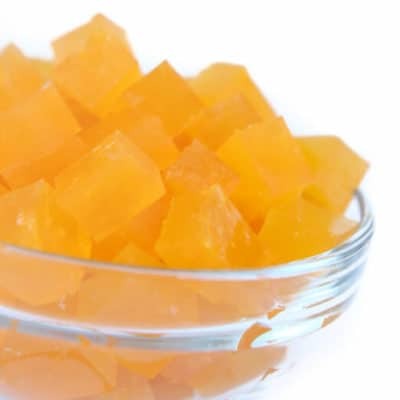 Remove fruit mixture from heat and stir in honey. 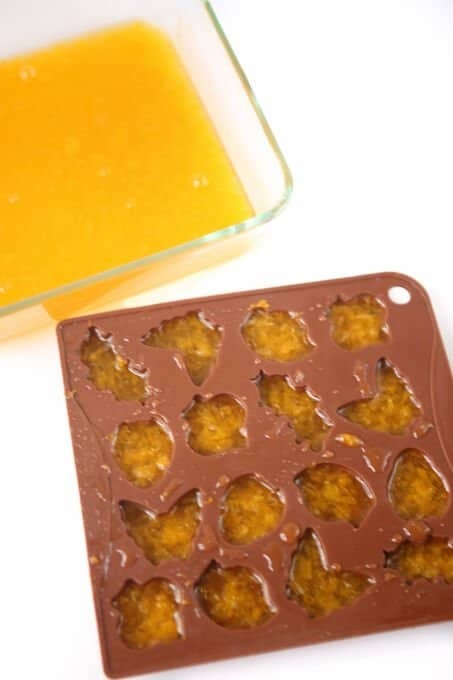 Pour into glass pans and/or silicone molds and allow to chill in fridge for 3-4 hours. Cut into squares and remove from pan by using a knife around the edge. 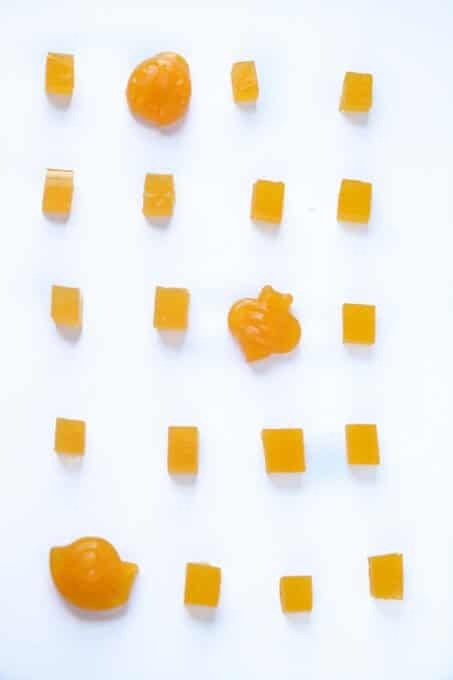 If you'd prefer your fruit snacks a little sweeter you can add more honey to the mixture and vice versa if you'd prefer fruit snacks that are less sweet. This is a sponsored post written by me on behalf of DOLE Jarred Fruit. How long do these keep, and do they have to stay refrigerated? 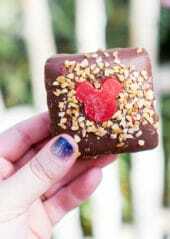 We didn’t refrigerate them when we made them, mostly because they didn’t last long enough to get back to the fridge! If you are going to keep them for a while, I’d definitely recommend refrigerating them however since you’re using fresh fruit! 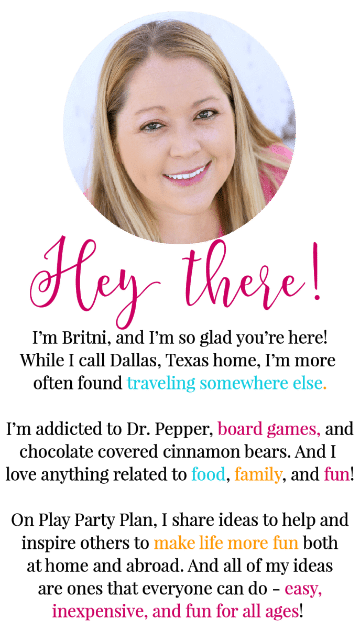 Love these, and so do my kiddos! Love the idea of making your own fruit snacks! Can’t wait to try these!